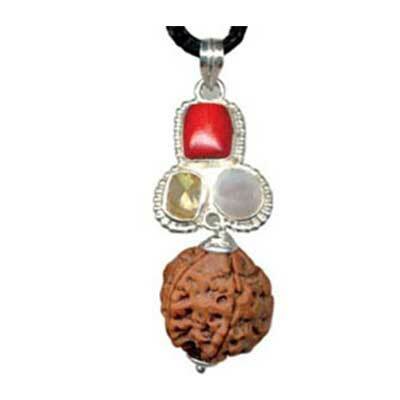 This Rudraksha Kavach is known as Wisdom Pendant. 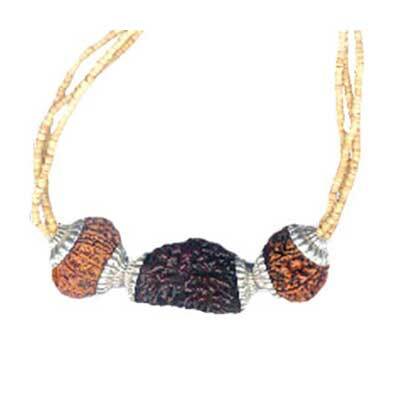 It is made with the combined use of Four Faced Rudraksha and Emerald. Emerald is the gem of planet Mercury which represents intelligence. 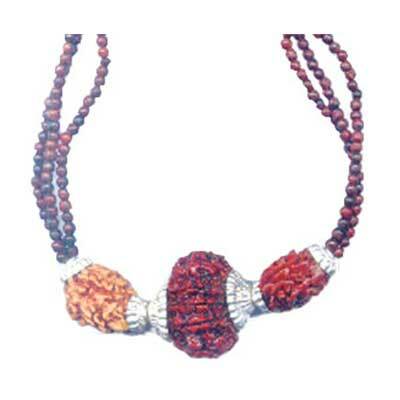 Mercury is also the ruling planet of Four Faced Rudraksha. 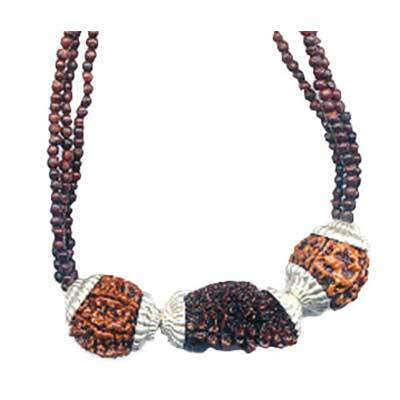 The presiding deity of Four Faced Rudraksha is Brahma (God Of Creation), Goddess Saraswati (Goddess of Intelligence, knowledge, speech and creation) is also known to be the presiding deity of this Rudraksha. 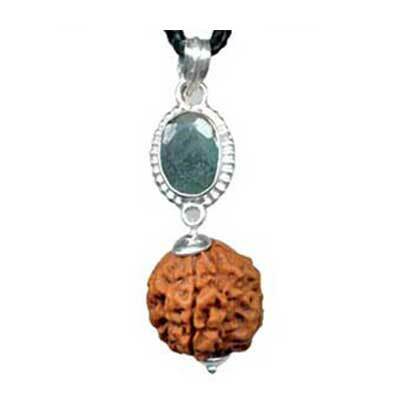 Therefore the combined use of these two makes this a very powerful wisdom enhancing pendant. It helps to increase mental power, intelligence, knowledge, concentration and communication skills. It cures mental diseases. It should be worn on Wednesday after energizing it.